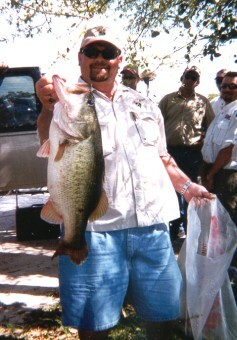 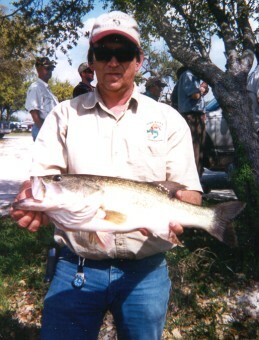 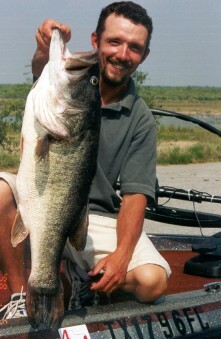 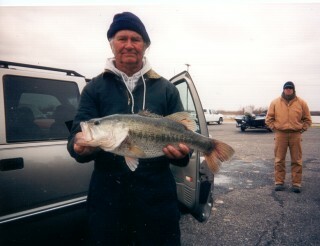 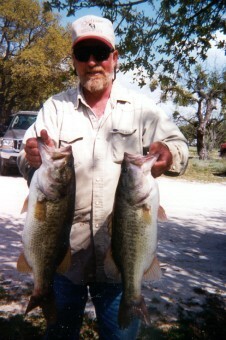 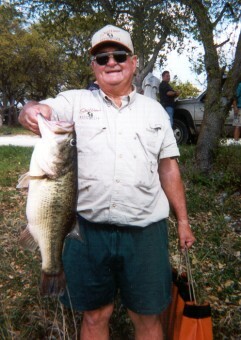 The top 15 big bass catches for Still Waters Bass Club for 2003 are listed below. 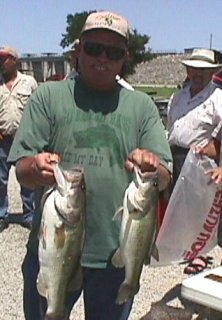 For member's fish to be listed, the fish must either be the largest fish caught in a regular monthly season tournament, a top 6 tournament representing Still Waters Bass Club, or a bass weighing at least 5 pounds caught in a regular season tournament. 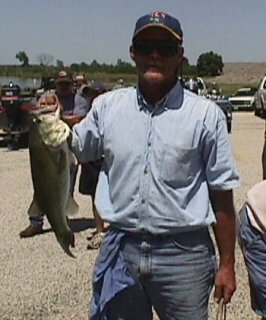 Jerrell Butman caught this beautiful bass on a plastic worm for the first tournament of the year on a cold February Saturday at Lake Nasworthy in San Angelo. 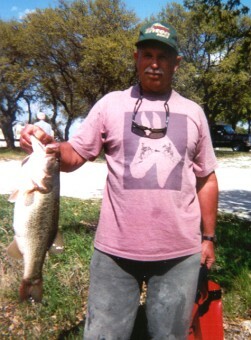 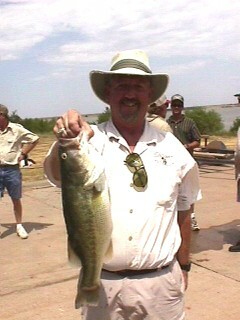 Larry Gathers landed this nice bass at the April Lake Brady tournament on a tube bait. 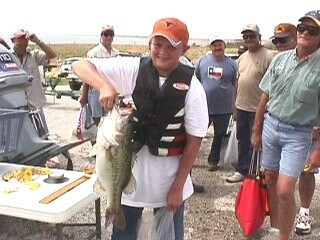 Young Michael Pruitt caught this nice bass while fishing a crank bait at Lake Hubbard in May. 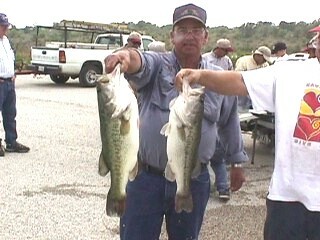 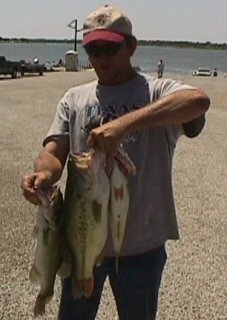 Gene Gunter weighs in the smaller of these two bass in the May Hubbard Creek tournament. 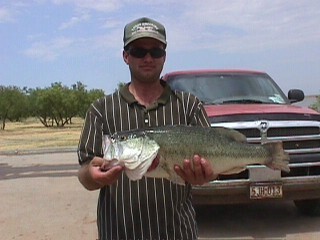 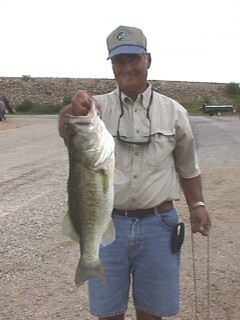 Mike Pruitt caught this nice bass at Lake Proctor in June. 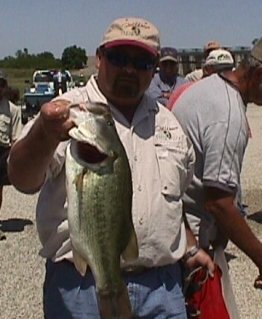 Jacob Brown caught this monster bass at Lake Ivie while representing Still Waters Bass Club at Abilene Lumber's Top 6 Bass Tournament in September of 2002.